John Nicolay, who served as private secretary to the president, would later write that Lincoln’s “first decision (his cabinet selection) was one of great confidence and self-reliance.” Lincoln determined to risk the dangers of internal faction to overcome the dangers of national rebellion. 1. Strong leaders look for strong leaders. Lincoln’s inner circle was a powerful and popular group. Most of them thought they deserved the job he had. That did not intimidate Lincoln. He still reached out to them. Strong leaders want the most competent people serving with them. This is humility in action. Strong leaders take a sober inventory of their talents and skills (Romans 12:3-4). They build a team that maximizes a complementary set of strengths and weaknesses. Question: What "strong leader" do you need to complete your team? 2. Strong leaders recognize and value competing opinions. Lincoln selected Edwin Stanton as his Secretary of War. Stanton was a “gruff lawyer who had humiliated him in Cincinnati six years earlier and whose disparaging remarks about his presidency were well known in Washington circles.” Why would he do that? Lincoln valued his reasoning, passion and energy. Strong leaders know “iron sharpens iron” (Proverbs 27:17). They will gladly trade “yes-men” for the ideas that are generated when a few sparks fly. Question: Whose strong opinion have you been avoiding? 3. Strong leaders will trade the comfort of relational alignment for the clout of collaboration. Lincoln chose William Seward for Secretary of State. Seward was Lincoln’s chief rival, but the president took him because he needed Seward’s superior knowledge of foreign affairs to move the country forward. Strong leaders know that “two are better than one” (Ecclesiastes 4:9-10). They understand the multiplying effect of a team united around a common mission. Question: Who do you need in your inner circle for "collaborative energy"? 4. Strong leaders push aside personal insecurities and push toward their mission. Lincoln was called a “third-rate Western lawyer,” “of small intellect,” one whose speeches were “illiterate compositions.” Taking aim at his humble origins, some dubbed him “the rail splitter.” None of that deterred Lincoln. Strong leaders know leadership is not about how people feel about them. It is not about who gets the credit. Leadership is about serving others, maximizing talents, and unifying efforts to accomplish the mission. Jesus is our ultimate leadership example. He laid aside rights, privileges, and fears to accomplish his mission “to bring us to God” (1 Peter 3:18). That is strong leadership. That is servant leadership. Question: What insecurity is getting the best of you? Why not lay it before God and ask for his help in overcoming? 5. Strong leaders are willing to challenge conventional wisdom. Lincoln gathered his rivals into his political cohort. He chose men who opposed him, and some who ridiculed him. He even shared personal responsibility for a colossal failure committed by a member of his cabinet. 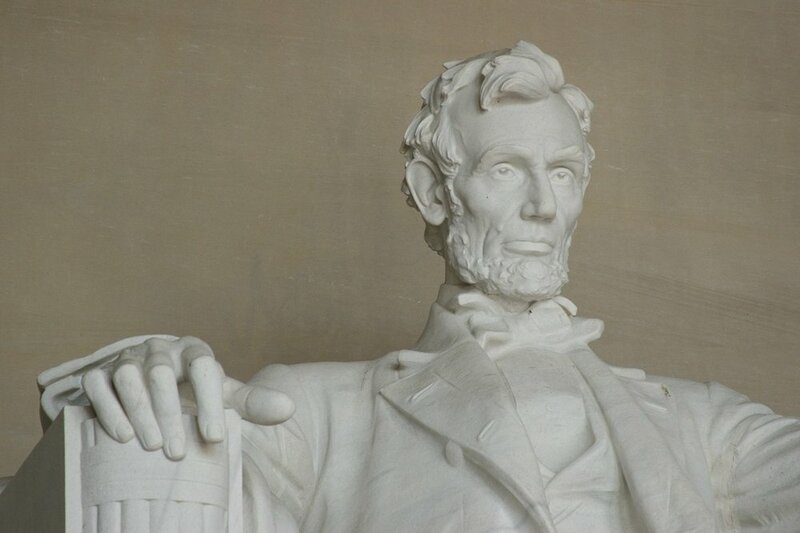 Lincoln not only challenged conventional wisdom, he defied it. Abraham Lincoln took a flier. He pushed back against conventional wisdom. He chose his rivals for the strengths they would bring to the table. As he put it, how could he “deprive the country of their services”? Lincoln acted boldly. But acting boldly for the good of others is what servant leaders do. Question: What conventional wisdom do you need to challenge? Wayne Cordeiro says, "You don't get wisdom in a day, but you will get it daily." The same is true of leadership. Daily steps of progress make for stronger leaders. What's your next step? Notes: I am indebted to Doris Kearns Goodwin and her book, Team of Rivals: The Political Genius of Abraham Lincoln. New York: Simon & Schuster. 2005. All supporting material for this post come from Goodwin’s volume: “countervailing pressures,” page 318; “John Nicolay,” 318; “strongest men,” 319; “gruff lawyer,” 410; “third-rate,” 257; “Lincoln chose William Seward,” 364. The surprise and questions over Lincoln’s cabinet selections were voiced by Joseph Medill of the Chicago Tribune. The quote from Bill Hybels comes from Axiom: Powerful Leadership Proverbs, page 49. I originally wrote this post for the World Leaders Conference.